Thread: Purple Nuts! Now in stock! Made of steel, come as a set of 20. Pricing will be £35 delivered with forum discount! What's the chances of these not going rusty within a month or two? I bought some steel "spline" drive type ones about 3 months ago and there all rusty and pretty much lost all there black colouring already! Putting me off buying another set of steel ones and thinking about some tegiwa nuts! Being steel means over time with use rust is possible - depending on any damage to the finish much like on the car itself. I brought 2 set off evilman the blue ones went rusty and all the blue came off within the first month or 2. But the i think they are called neo have been great same brand and size. 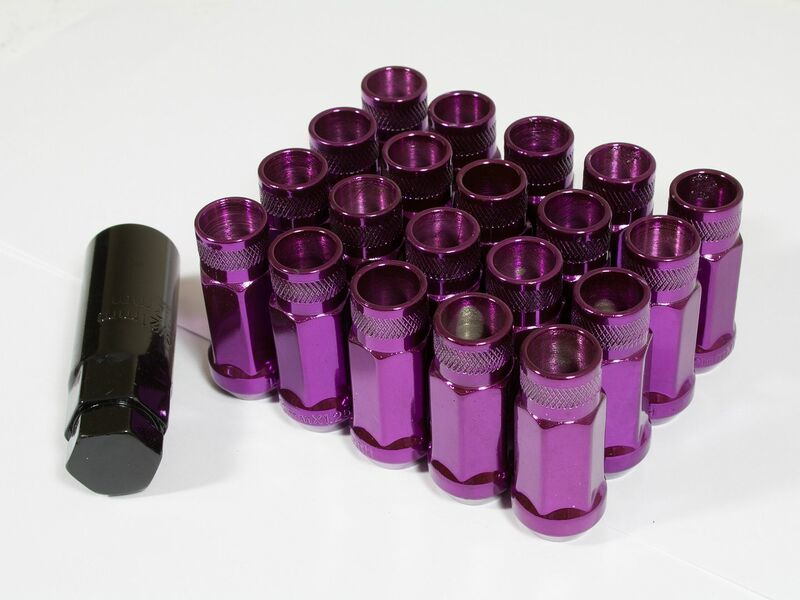 Do you have any locking wheel nuts in stock? Will be in touch i thinkingnthe s15 has 1.5mm threaded studs for some reason. Probably somebody wanted new studs and couldn't get the 1.25 ones so bought some Ford ones from Tweeks or similar. what outside diameter are the socket keys? Just wondering if these will fit in my alloys that I use "tuner" nuts on at the present. Can I have a set of the gt50 ones in red please, can you pm me how much and where to pay. Thanks. If you can paypal £35 to wheels@rarerims.co.uk we can get them on the way.